At a certain level the usual 1on1 coaching is hardly practicable, and sideline coaching becomes inevitable. But this concept has more advantages. Your coach doesn’t has to take care of his own riding preparation by having more time to focus on priorities… you! 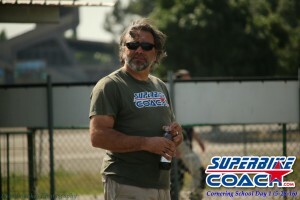 It is easy to set up; We come to your track- or race day to coach you sideline. No extra costs to have your coach riding with you. Goal-orientated private- or group coaching instead. We come to meet you at your track day- or race day and work with you guys all day long. Your ‘sideline coach’ is watching you as much as possible, each track session you’re doing. 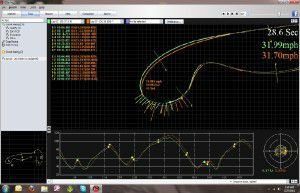 We will place on your bike one of our GPS Data Loggers, or you use your own, to analyze your lines, your braking, lap times, and G-forces for each stint. 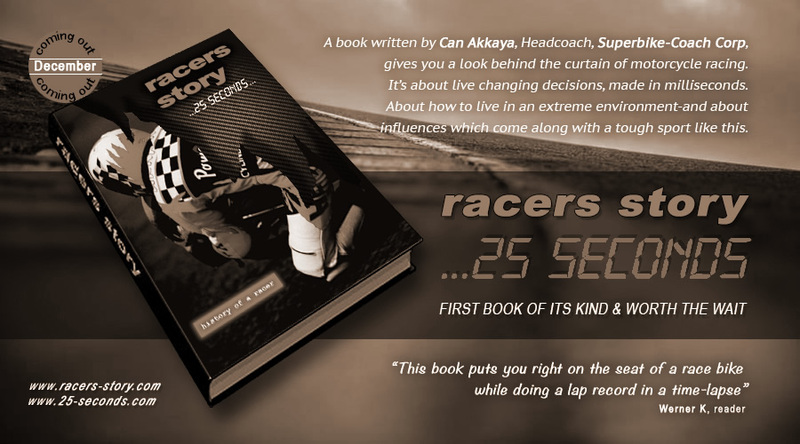 It’s a great tool for the coach to see how everyone is doing on the other side of the track. The coach observes and corrects passing skills and general performances and makes ‘adjustments’ step by step. You’ll gain control, coolness and accuracy, which finally leads to lower lap times. 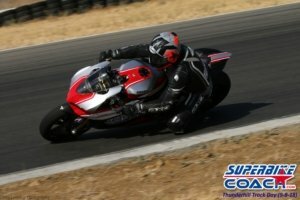 Superbike-Coach is great to address fears, mental and motivation problems. Optional, he also can work with you on a race bike setup. You can’t get to work more reasonable with a professional as with this option. - Combine this class with a Setup Course.